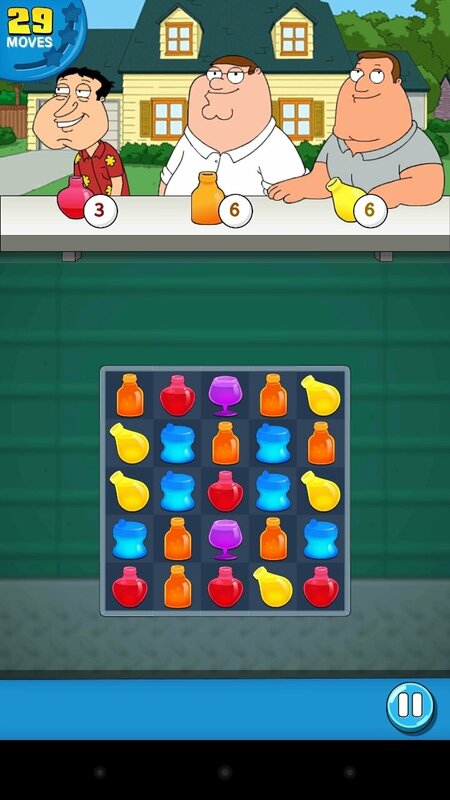 If you're a fan of Family Guy to the extent that you know off by heart the dialogs of season 14 and 15, and you don't miss a single new episode, you need to download this game to your Android smartphone. 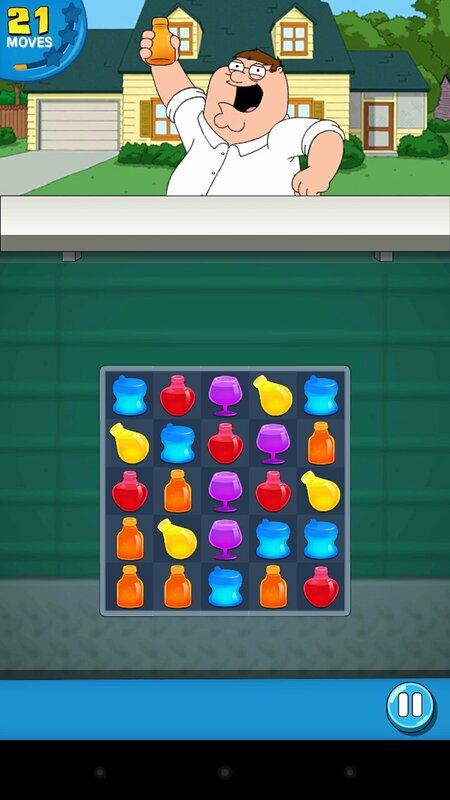 We're talking about Family Guy Freakin Mobile Game, an alternative to Candy Crush Soda, Saga, Jelly and company, but starring Peter Griffin as the main character. 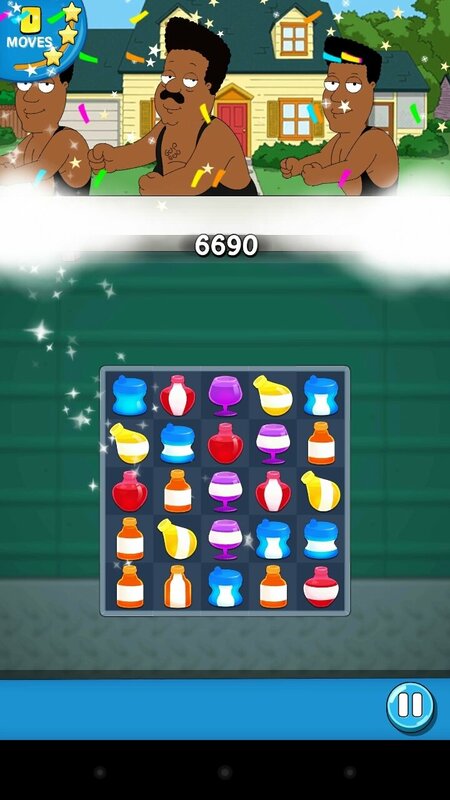 And that's despite the fact that here we won't come across an original plot like in the series' episodes but totally the opposite: a match 3 puzzle video game as you've seen dozens of times in which you'll have to join on a panel three or more identical elements (gems, candies, etc.) to make them disappear. 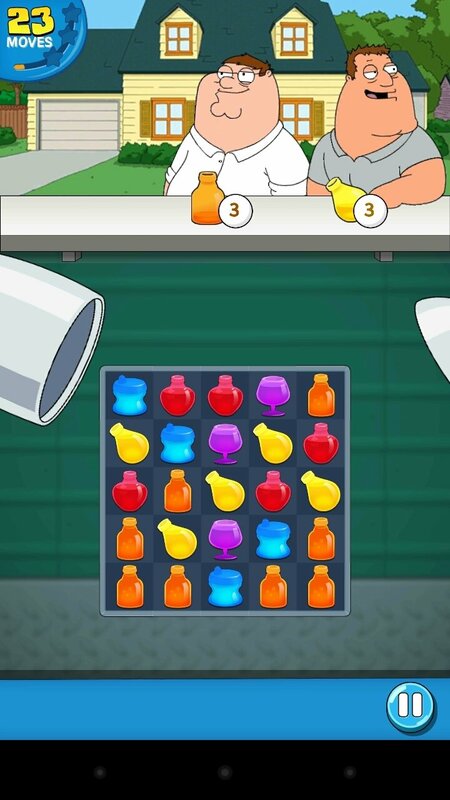 So, if you download the APK to your smartphone you'll be offered panels on which you have to combine different elements (this time around we're talking about bottles, beers, and cocktails) but set on a scenario from the cartoon series, including its most popular characters. 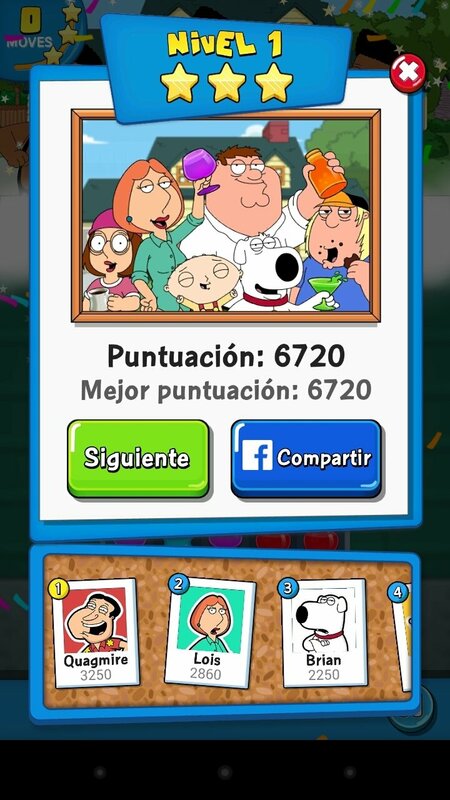 Peter Griffin, Stewie, Brian, Quagmire, Meg, and company will accompany you during this game full of humor and challenges based on the TV show. 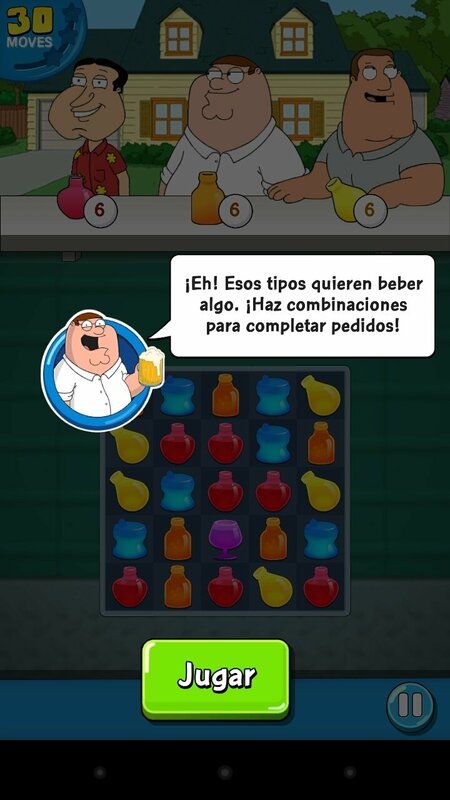 Not just another Peter Griffin game. Over 160 levels of puzzles where to combine different elements. New teasers and gags for fans. Power-ups and jokers to help you overcome the most complicated levels. Play against the clock in time-limited missions. Face up against epic final bosses. 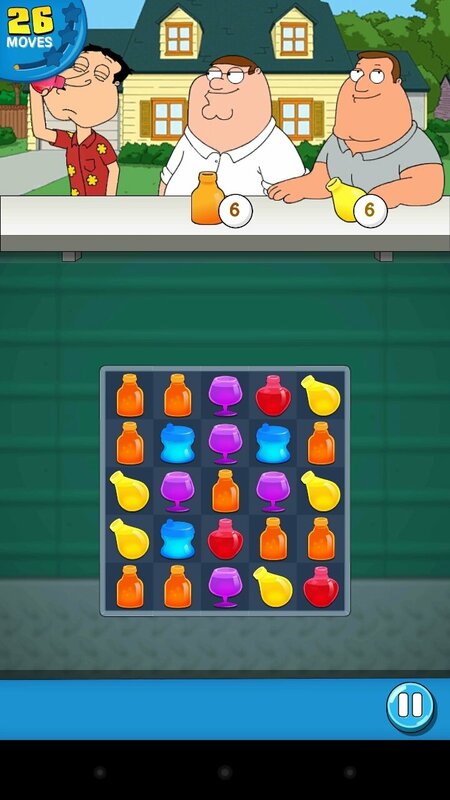 You can download the game for free although, as usual in most titles of this kind, it offers you in-app purchases to buy additional elements.